July marked the 6th birthday for this blog. In that time I've logged nearly 700 posts, been contracted by my amazing agent, had a few small stories published, and been rejected more times than I care to count. I've grown in my faith, arrived at a new understanding of hope, and dug deeper into God's Word. Friends, waiting is a hard thing to do. 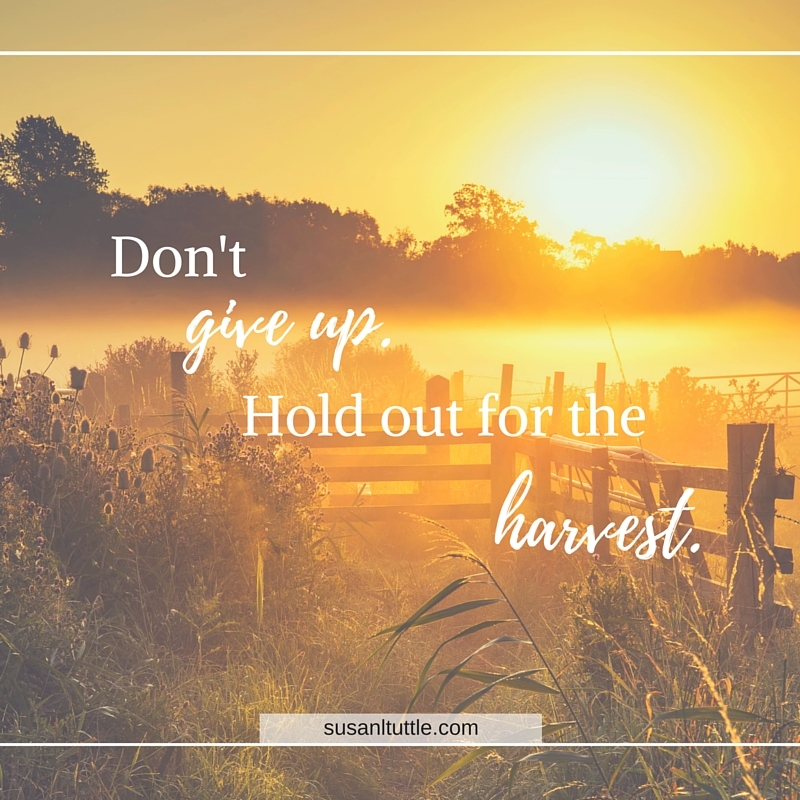 Especially when we feel worn out from all the work we've put in and our harvest still hasn't grown. I think we can--and do--grow weary. I named this blog Steps because I fully intended to constantly be taking steps toward the purpose God created me for. And like the title of today's post, I'm fairly confident I've taken at least 1,672,359 of those steps and have yet to see a harvest from the seeds I've planted. Nope. I'm still planting away in the muck and the mire. And I think that's okay. I think that going after who God created us to be can wear us out sometimes. The best of workouts leave us winded but stronger. Our muscles ache, but they are growing. Weariness for a moment is okay--as long as it doesn't cause us to give up. And though my weariness almost did just that, I rested, dug into God's Word, and have come back ready to keep moving forward. Friends, we have to keep planting. 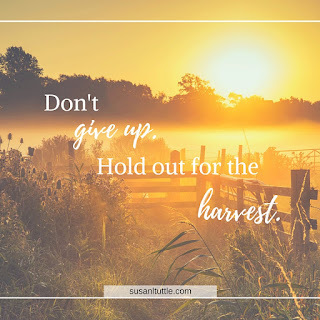 Oh, the field may change, our path may twist, our harvest might not look anything like we envisioned, but we cannot give up doing the good God called us to do. Take a break. Sit in his presence. Recharge if you need too, but keep doing. Keep moving. Keep planting.